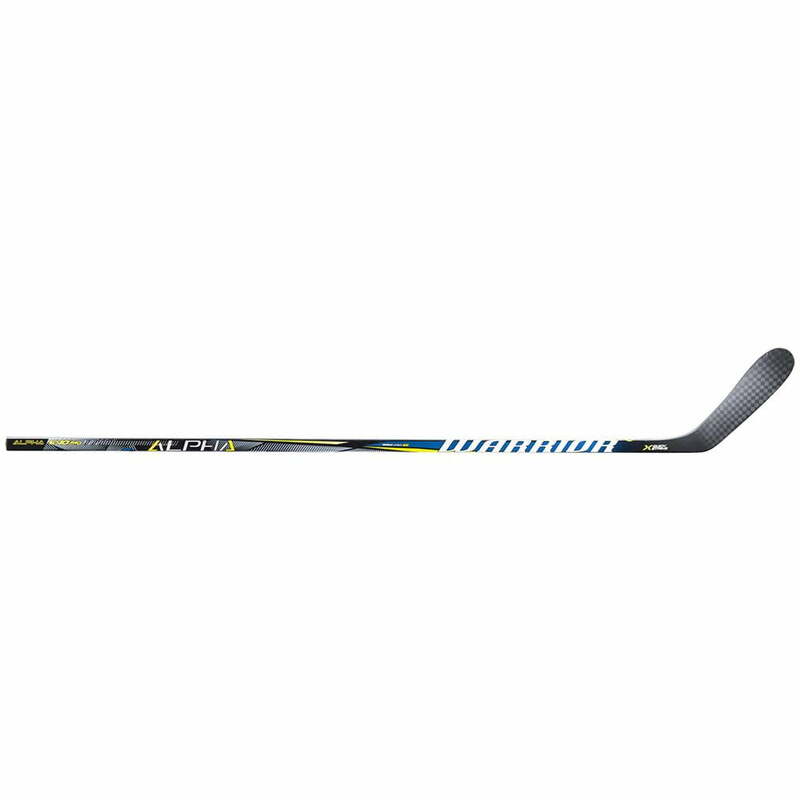 Warrior Alpha Evo Pro “Exclusive” Senior Hockey Stick | Sports Etc. QUICK STRIKE – Effortless loading that engages our most explosive, precision accurate release. SABER TAPER – The unique taper design creates a torsionally stiff extended mid-low flex arc, resulting in a more stable blade for improved accuracy. TRUE 1 PHANTOM FEEL – A lightweight True 1 piece stick with improved balance and responsiveness that significantly enhances feel and puck control. MINIMUS CARBON 600 – 600 grade, high-strength, responsive, lightweight flat carbon-composite weave design. ERGO SHAFT SHAPE – The ergonomic contour shaped shaft fits comfortably and securely in your hands. EVO PRO GRIP TEXTURE – Textured corners coupled with a tacky soft grip finish locks easily in your hands for optimum control and accuracy. 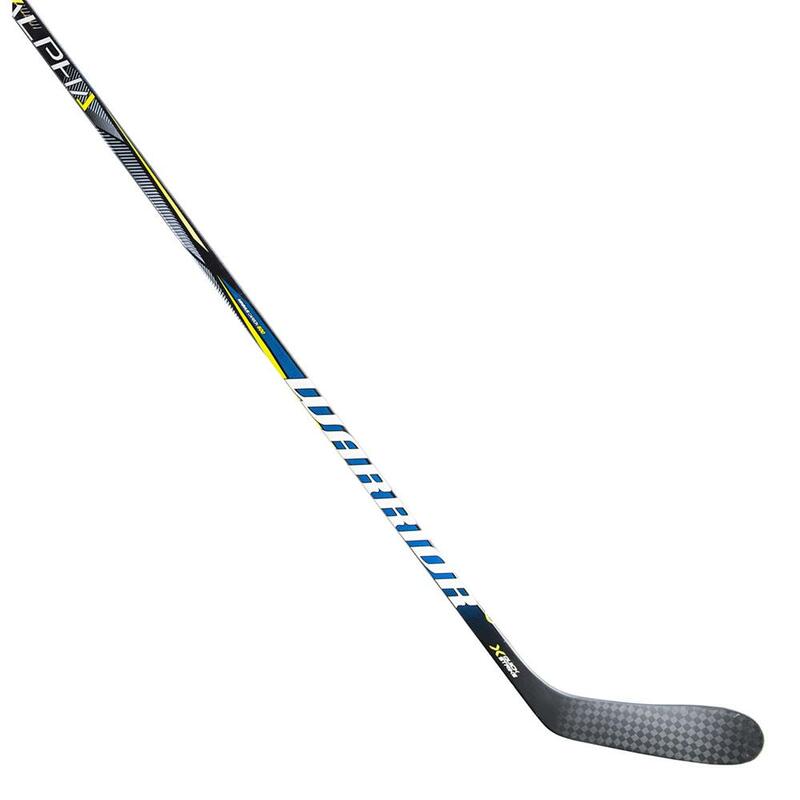 Add some power and accuracy to your shot with the Source For Sports Exclusive Warrior Alpha Evo stick. Featuring Quick Strike for easy shot loading, Pro Grip for greater stick control, and True 1 Phantom Feel for improved stick balance. Sports Etc Performance To Value Rating– 10 out of 10- A lightweight, performance stick at a low price. Good for all ages and skill levels.